If all goes according to plan Alex Brandon Kintu commonly referred to as Musayi Muto will have a new constituency curved out for him in a move aimed at reducing the bickering among National Resistance Movement (NRM) supporters in the ruling party’s dominated Kagoma county. Kagoma county last month had a by-election that followed a petition filed against MP Moses Walyomu by his political nemesis Brandon Kintu. High Court in Jinja overturned Mr Walyomu’s February 2016 election victory over voter bribery. The Court of Appeal also upheld the lower court’s verdict and a by-election was held in which Walyomu (NRM) once again trounced his opponent Kintu who stood on the Independent ticket. 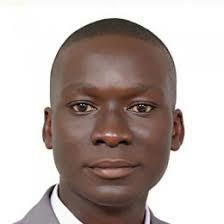 Mr Walyomu polled 24 257 votes against Mr Kintu’s 18,490 votes. PML Daily has since learnt that as the court battles raged, the NRM top brass met Brandon Kintu and promised him a position in the NRM fold if he backed down and withdrew the petition. Mr Kintu stood his ground and once again, a bruising political battle ensued in the constituency well known for its volatile politics. According to Majid Dhikusooka, the NRM vice-chairperson for Jinja District, the President met Mr Kintu immediately after the by-election and the two consented to curving a new constituency out of the county that was once represented by FDC ideologue Dr Frank Nabwiso. Mr Kintu was accordingly tasked to look for signatures which he presented to the Speaker of Parliament, Rebecca Kadaga, yesterday, according to Mr Dhikusooka. Mr Dhikusooka said the President wants the creation of the new constituency fast-tracked. Kagoma county will be divided to form Kagoma south and Kagoma north counties. Kagoma south will comprise Buyengo, Buwenge rural as well as Buwenge urban sub-counties and is seen as a stronghold of Mr Kintu. Kagoma North will comprise Budondo and Butagaya sub-counties. Butagaya sub-county is where the incumbent MP hails from.